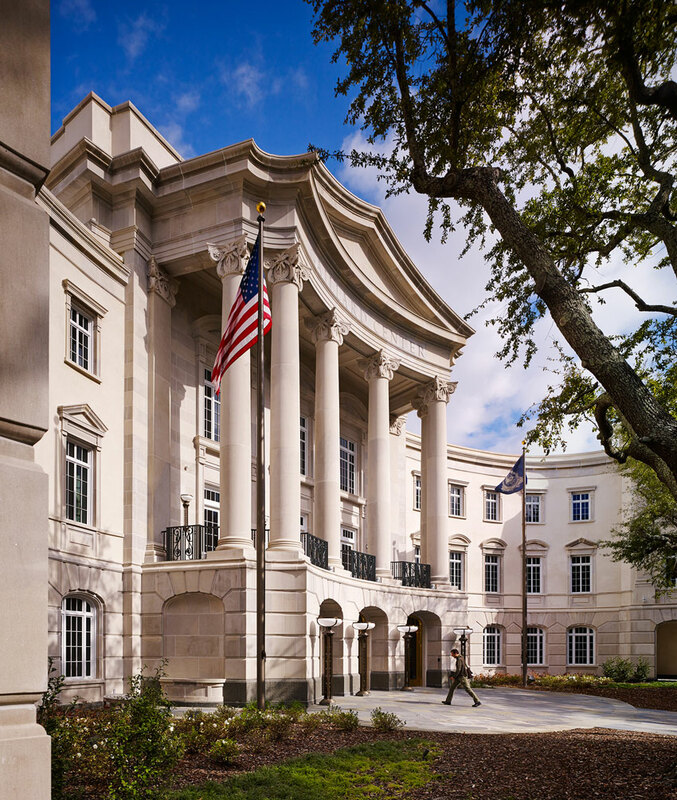 The Galliard Center complements the historic district in Charleston, South Carolina, and by using high-performance limestone plaster, it also provides 21st century environmental advantages. The Galliard Center completed in 2015 by David M. Schwarz Architects and Earl Swensson Associates was originally planned as a small-scale renovation. This 1960s-era municipal auditorium and exhibit hall needed rehabilitation. The project quickly grew to include an additional 90,000 square feet for city offices and a complete overhaul of the entire building. The exterior cladding needed to be compatible with more than three different substrates. Located near the heart of the Charleston, South Carolina, historic district, the designers wanted to select a material that complemented adjacent buildings. Many of the historic buildings in Charleston were clad in stucco, which since its introduction to America during the Civil War, has been comprised of a mix of lime with Portland cement. According to Steve Knight, associate at David M. Schwarz Architects, “A limestone-based plaster versus Portland cement-based stucco was chosen for the Galliard Center.” Choosing high-performance limestone plaster improved performance. “Limestone is softer than Portland cement, it allows for more movement without cracking…and, no need for control joints,” Knight adds. For this project, more than 200,000 square feet of high-performance limestone plaster was installed. The product was sprayed onto the wall and then hand-troweled to achieve smooth finishes. In some locations at the first-story base of the building, the material was applied to a greater thickness and recessed reveals were incorporated to simulate a rusticated base. When applied over a mass wall, there is no need for control joints, and it can be directly applied to brick, precast stone, unpainted stucco, concrete, concrete masonry units (CMU), and poured-in-place concrete (PIP). Pictured is HPLP sprayed onto a wall (left) and troweled for a smooth finish (right). The HPLP was sprayed onto the wall in a single coat and then hand-troweled to achieve smooth finishes with block coursing to more than 200,000 square feet at the Galliard Center for Performing Arts. Performance matters when selecting finishes for new construction or renovations. In the case of high-performance limestone plaster, there are numerous distinctions to be made before specifying a product that exceeds building codes and green building criteria. High-Performance Limestone Plaster (or Lime Plaster): Made with very high-quality NHL lime from a specific region in France, this lime is the reason this product can achieve very high environmental performance characteristics. These characteristics meet strict third-party testing, as performance guarantees measure strength, moisture control, defense against mold, mildew, breathability (perm rating), and air permeance. This lime has no impurities and is composed of an exact amount of calcium carbonate that cannot be found anywhere in the Americas. There are no synthetics or acrylics added to this natural product. Natural hydraulic lime has been used throughout Europe for centuries. Modern manufacturing and new construction methodologies along with third-party testing demonstrates that this product meets the highest standards for a high-performance environmental product. Lower-Quality Limestone Plaster (or Lime Plaster): Made with lower-quality materials that cannot achieve the performance specs of the HPLP, these “backyard” products are put together as an imitation and do not meet the same criteria for performance by third-party testing measuring environmental performance. The lime used for these products may have inconsistent amounts of pure lime that ensures hardness and strength. Manufacturers produce a variety of lime plasters for interiors, and some may claim that their product can be used as an exterior system, without the inclusion of material data sheets that guarantee performance testing and values. Stucco: Stucco is a generic term for a material that is composed of aggregates and binder and water. In common usage, this term primarily refers to Portland cement plaster. Stucco is an absorptive exterior cladding that can trap moisture in the building envelope. Unlike HPLP, stucco requires a separate air barrier to minimize air and moisture intrusion. A high-maintenance material, it requires scheduled repainting and the repair of cracks. Cement Plasters: These products are either made to look like limestone or claim to be limestone, when in reality, they contain only a very small amount of lime. These are Portland cement-based products with the same issues as conventional stucco. EIFS: Commonly used in commercial projects, this cladding relies on a perfect air barrier system and a well-designed drainage system. It also requires ongoing maintenance with the repair of sealants/caulk joints, stress cracks, and holes in the surface. EIFS is a soft, easily damaged material that needs careful attention to detailing and location. 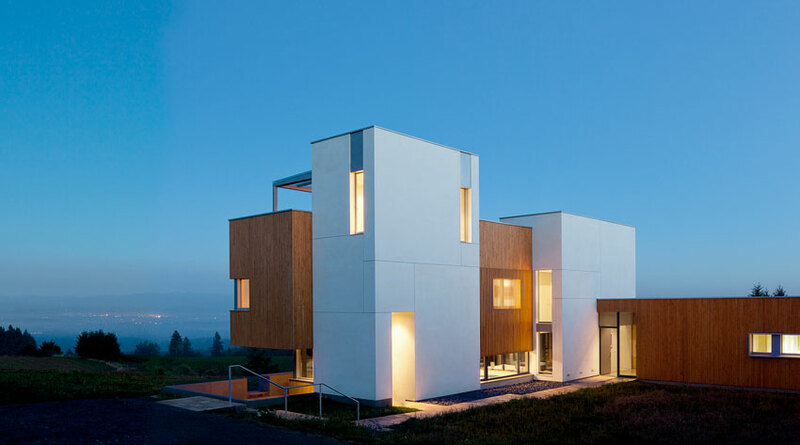 The Karuna house is sited on an exposed hillside overlooking the Willamette Valley. Holst Architecture chose HPLP as the material for the anchoring towers because of performance values that contributed to environmental certifications. These included Passive House PHIUS+, LEED for Homes Platinum, and MINERGIE-P-ECO. The home’s super-insulated envelope is designed to be airtight. Solar heat gain is controlled through the use of exterior operable blinds that shade triple-glazed windows. Heating, cooling, and hot water are supplied by an efficient heat pump system, and a heat recovery ventilator provides the spaces with a continuous supply of fresh, preheated air. The home’s tight building enclosure is expected to result in the usage of 90 percent less heating and cooling energy than a typical home. The performance benefits of high-performance lime plaster that contribute to the goals of an architect achieving sustainability initiatives include environmental performance for energy savings, materials and resources, and indoor air quality. 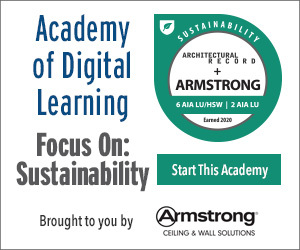 Designing for energy efficiency requires conscientious detailing of exterior walls. All green rating systems require performance targets and modeling. To optimize energy performance, architects select exterior materials that can contribute to insulation values and create airtight enclosures that control moisture and vapor penetrations. The thermal resistance value, or R-value, of HPLP is 1.02 per inch of thickness, providing a greater resistance to heat loss than granite, marble, or even actual limestone.4 The insulation value of stucco is an R-value of .02 and of concrete, an R-value of .08.5 When directly applied to a mass wall with insulation on the interior side of a wall assembly as per the American Society of Heating, Refrigerating and Air-Conditioning Engineers (ASHRAE) and the International Energy Conservation Code (IECC), HPLP can become an integral part of a continuous insulation system. HPLP is a spray-on continuous exterior cladding that is impermeable to air flow. This material is strong, flexible, and durable, withstanding damage over the life of the building. Compliance to the ASHRAE 90.1-2010 and the 2012 IECC requirements for air leakage rates requires that material components or assemblies must meet a maximum air leakage rate of 0.04 cfm/ft2.7 HPLP applied at a 3/8-inch thickness as part of a wall assembly has been tested and confirmed to receive an air permeance value of 0.0024 cfm/ft2, far exceeding the recommended code values. As a result, energy costs are greatly reduced due to the natural capacity of HPLP for zero air infiltration. HPLP exceeds air permeance values, while also providing a material that “breathes.” Vapor permeability is a standard measure of the water vapor permeability of a material. The higher the number, the more readily water vapor (in the gaseous state) can diffuse through the material. A perm rating of less than 0.1 is considered a Class I impermeable vapor retarder (which is also considered a vapor barrier); a perm rating between 0.1 and 1 is considered a Class II semi-permeable vapor retarder; a perm rating between 1 and 10 is a Class III permeable vapor retarder; and a perm rating greater than 10 is highly permeable and not considered to be a vapor retarder. HPLP provides a perm rating of 84, and allows moisture trapped in the building envelope to breath and dry out, eliminating most mold and mildew problems. In comparison, stucco is an absorptive cladding. Problems with the use of moisture barriers has caused numerous failures of stucco and EIFS walls due to improper installation and understanding of moisture control with an absorptive surface.8 A material that does not have high perm ratings requires careful detailing and the use of building papers, air, vapor, or water resistant barriers. HPLP naturally weatherproofs a building without the use of any moisture barriers, even when applied directly over CMU.